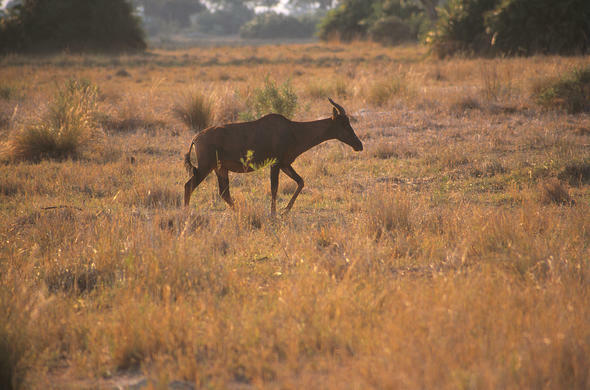 Tsessebe are commonly found in the drier areas of the Okavango Delta. They are pretty much year round residents and are one of the favorite prey of the local Lion population. They are found in small herds grazing on the savannahs of the seasonal floodplains that surround the Okavango Delta. They are often found on the edge of woodland areas, and are never far from permanent sources of water. They occur in smaller groups in the Okavango and Moremi. A curious characteristic is that they have developed the behavior of using the numerous termite mounds in the Delta as a vantage point from which to scout for danger. 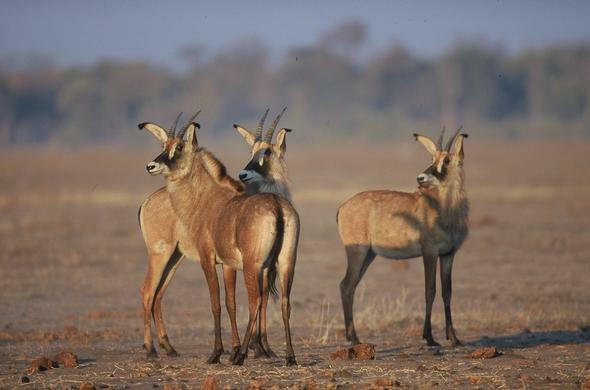 These antelope have rusty red coats with black legs and a black chest. They stand over a meter tall and have lyre shaped horns that can be as long as 70cm. They are characterized by their downwards sloping backs. Male Tsessebe mark out territories called Leks that they fiercely defend against rival males in the mating season. Female Tsessebe prefer to mate with males who have a central Lek as these are harder to defend and show that their potential mate is a strong dominant animal. 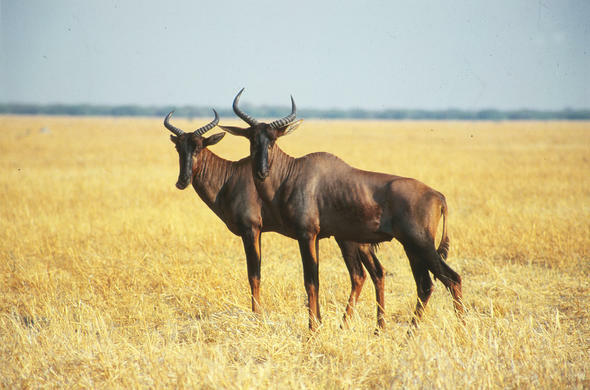 Tsessebe are widespread in the drier areas of the Delta and are commonly seen in the Khwai, Vumbura Plains, Moremi Game Reserve and Xudum. They are commonly seen on the plains between the woodland areas and where the Delta floodplains start.